I love a story with a happy ending, especially when all odds are against the hopeless ending and there’s a cast of characters that range from visionary and heroic to dastardly. And so the story of the police barracks unfolded, from the sad beginning of deplorable housing for our local police, to the blatant neglect of the Government of Belize (GOB), to the unbelievable tenacity and determination of the San Pedro business community and donors who joined forces when coming to the rescue and to the undeserving taking credit for doing nothing. As far back as 2001, the story begins, when the San Pedro Police Force went on record condemning the lack of proper living conditions at their barracks. Without proper infrastructure, plumbing and wiring, officers were reduced to living in less than ideal conditions. It was no wonder that some of those entrusted to protect our community struggled with their pride and questioned how much we valued them as public servants. Although the topic was brought to the attention of the government by every Chief of Police since, no assistance was ever offered to improve the living conditions of the officers who served our community. It wasn’t until Superintendent of Police and Coastal Executive Officer in Charge Luis Castellanos took charge in January 2013 that any real effort to alleviate the problem began. Castellanos approached island business leaders for help, with Gricel Graniel from Matachica Resort and Mukul Kanabar from Phoenix Resort readily stepping up to the challenge. 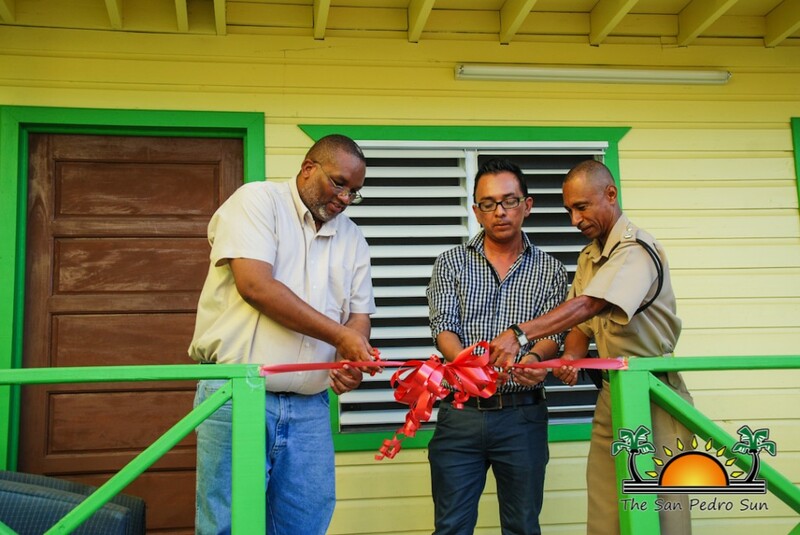 With the assistance of the San Pedro business community and the San Pedro Town Council, construction of the new barracks began in May 2013 but came to a halt months later after funding was exhausted. In March 2014 The San Pedro Sun featured a story to bring renewed awareness to the stalled project, and in response, the community came through with financial support, donating an additional $106,004.32. 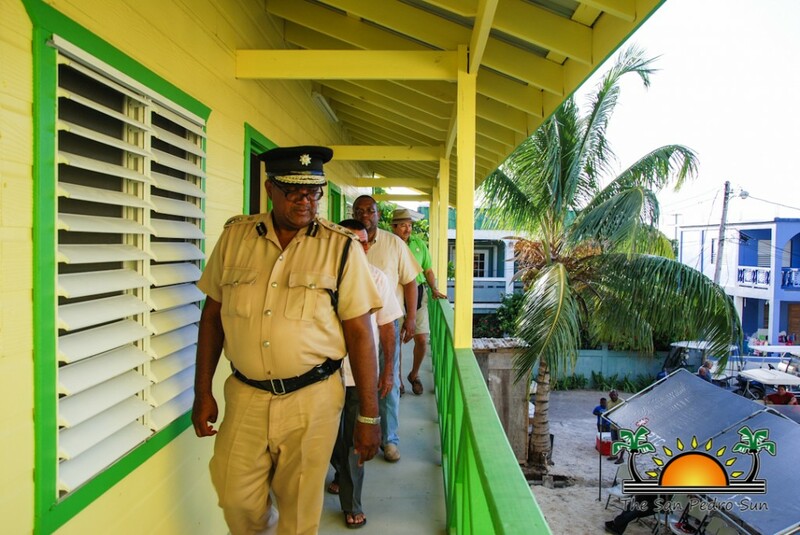 Work on the barracks restarted in early April and in August, five months later, the dream of new housing for our police became a reality. So who, at this happy ending, are the true heroes? The cast of champions begins with OIC Castellanos, who, when frustrated with the lack of support from the Ministry of Security, turned to the San Pedro business sector for help. Gricel Graniel and Mukul Kanabar, the “caped crusaders” (aka Batman & Robin) responded to his call for help and selflessly rallied for this project without stealing the limelight of success. The sole financial support of The Phoenix, Matachica Resort, Victoria House, Holiday Hotel, The Palms, Xanadu Island Resort, Las Terrazas, Pelican Reef Villas, Sunbreeze Hotel & Sunbreeze Suites, El Pescador, Caye Casa, The Landings at Tres Cocos, Wataview, Caye Management, Diamante, Exotic Caye Beach Resort, Blue Water Grill, Hidden Treasure Restaurant, Lola's Pub, Tropic Air, Seaside Real Estate, Sunrise Realty, Grand Belizean Estates, Pelican Properties, Searious Adventures, Seaduced, Sol Spa, Carts Belize, Belize Chocolate Company, Havana Cigars, Sew What?, Carlton Anti-Aging Foundation, Henry & Mary Beissner, Mark & Brooke Maggiotto, Scott Richmond, Brent Kirkman, Linda McDermott, Ed & Debbie Freeman, Fantuzzi Family, Nick & Debbie Barton, Keith Family, David Baker, Mark & Mary Pugh, Steven Roscoe Bell, David & Cindy Simon, Stacey Chesnick, Allen Baxter & Denise Dixey, Dr. Daniel Gonzalez and anonymous donors are the true heroes, and each and every one of them deserved to be at the ribbon cutting ceremony on the glorious day of success. But just as in many Superman stories, the hero is the last to take (or want) attention for his do-gooding, it’s all just in a day’s work. The final chapter of this story ends with over $185,500 raised by OUR community to provide for OUR police force. I have to ask…where in this story is the GOB and what were GOB representatives doing at the barracks inauguration, walking around like proud roosters with puffed up breasts, strutting their "LOOK AT WHAT WE DID" pretense? What support or funding came from OUR government? According to Mayor Guerrero, on March 21st, the Ministry of National Security pledged $50,000 for immediate disbursement to be used for the barracks but that money was not released until after the completion of the barracks, on the very day of the inauguration, and is now earmarked for moving two more houses to the barracks property. For the Ministry of Security to take credit for an action that only resulted after being embarrassed into doing so is hardly something to be proud or boastful of. 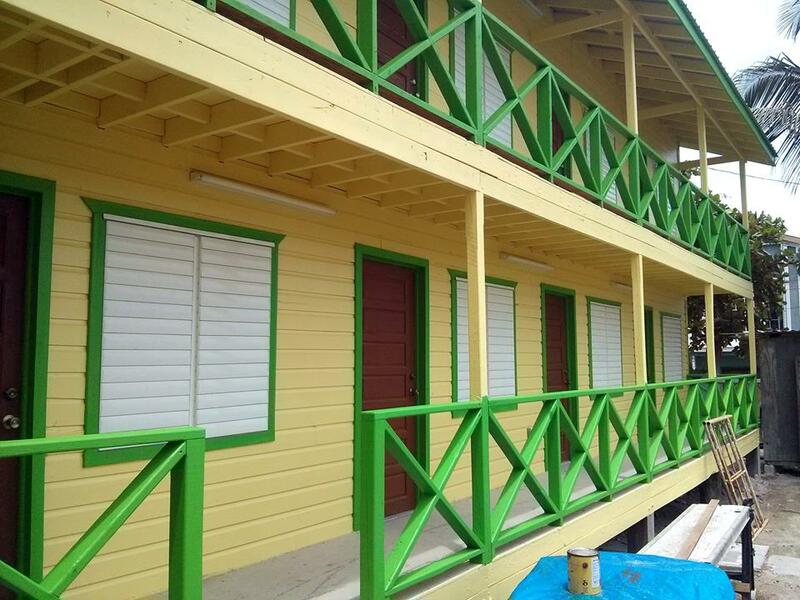 And, just months ago the Belize Tourism Board pledged a total of $6,000 dollars towards the project, only after years of requests for assisting the #1 tourist destination in the country fell on deaf ears. Yes this story has a happy ending, complete with heroes and scoundrels. Let’s hope the next chapter in the success story of San Pedro elected officials can rightfully take credit for a job well done, rather than riding on the backs of those who are truly deserving. Photos:Happy 10th Anniversary Pampered Paws!